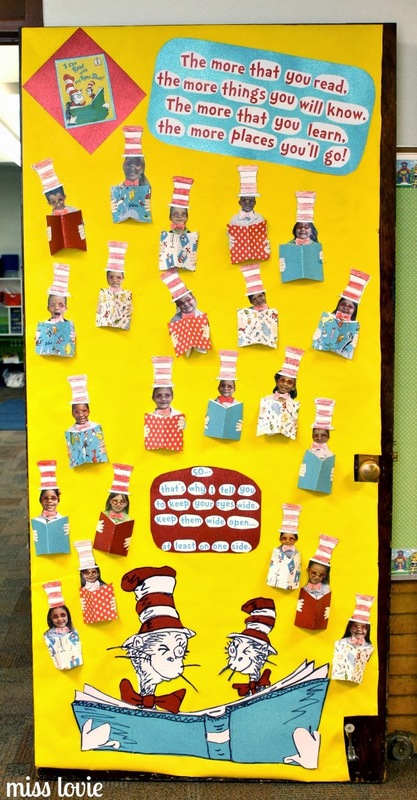 Every year on Read Across America Day the Kindergarten, first and second grade classrooms at my school have a Dr. Seuss Door Decorating Contest to celebrate Dr. Seuss' birthday and encourage reading! It is definitely one of my favorite times of the school year. 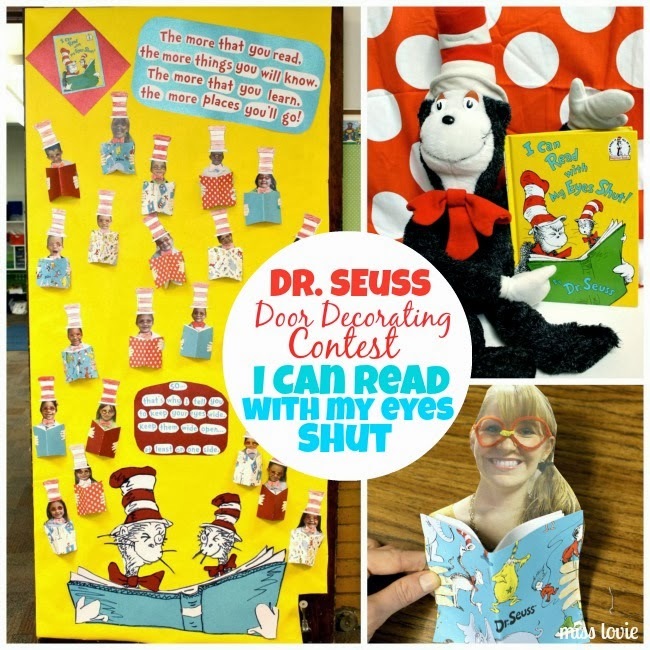 I know a lot of teachers celebrate Read Across America Day so I thought I'd share our door from last year featuring the book, "I Can Read With My Eyes Shut" by Dr. Seuss. I love this book! 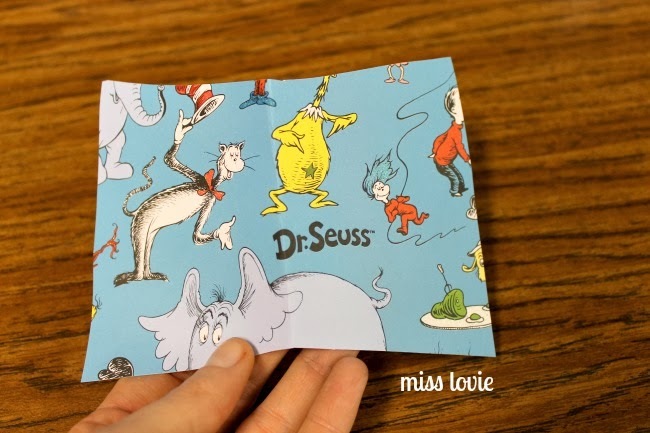 It really encourages kids to read by telling them about all the great things they can learn about and the illustrations (as usual with Dr. Seuss books) are great. "There are so many things you can learn about. BUT...you'll mss the best things if you keep your eyes shut." 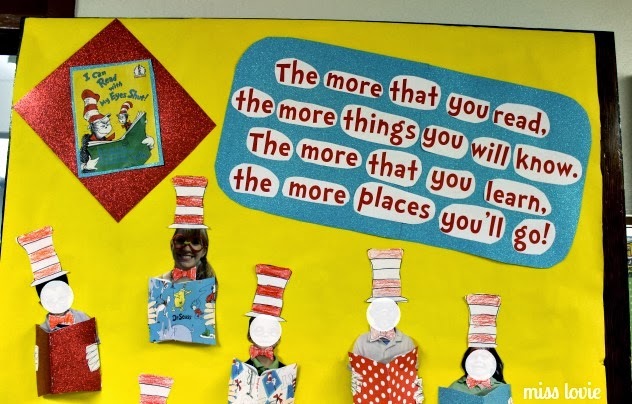 "The more that you read, the more things you will know, the more that you learn, the more places you'll go!" 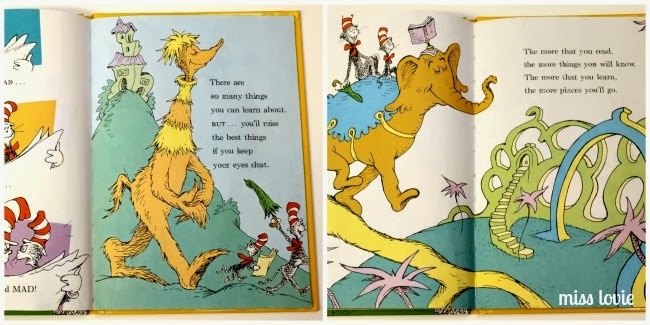 "If you read with your eyes shut, you'll likely find that the places you're going is far, far, behind...SO....that's why I tell you to keep your eyes wide. Keep them wide open...at least on one side." 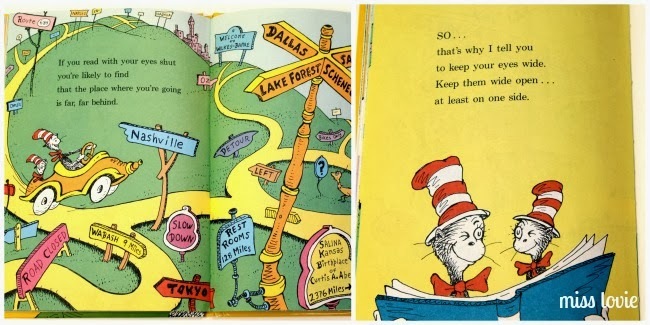 We used the above Dr. Seuss quote from the book. It's a popular quote, but I love it. The kids and me are holding our own "books" they made themselves. 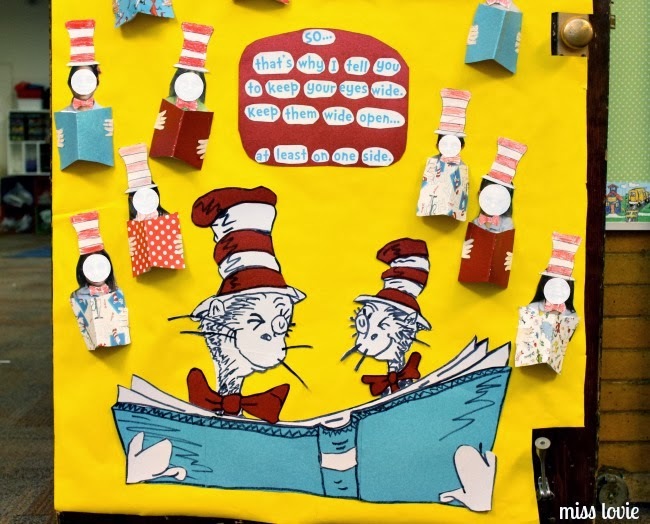 I took pictures of them with funny glasses made from pipe cleaners on (that they also made) and then we colored and glued on some Cat in the Hat bows and hats. So fun. Then I used the last quote from the book as well. I just love those cats winking at each other. Favorite part of the book. 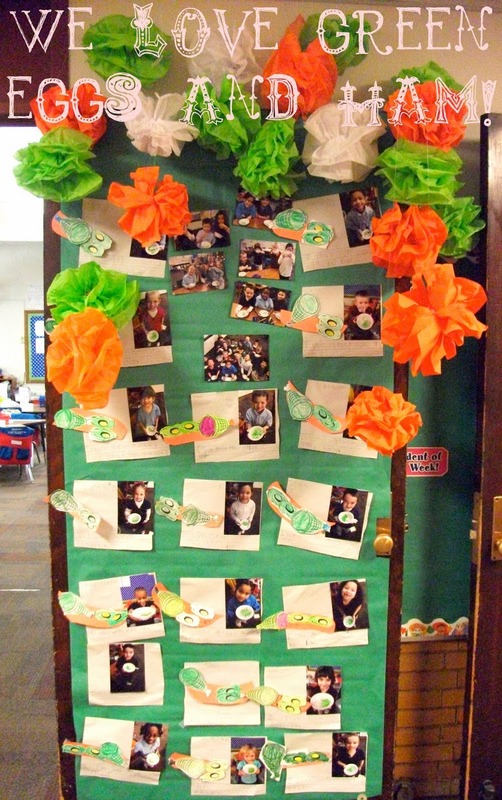 Here's our full door. 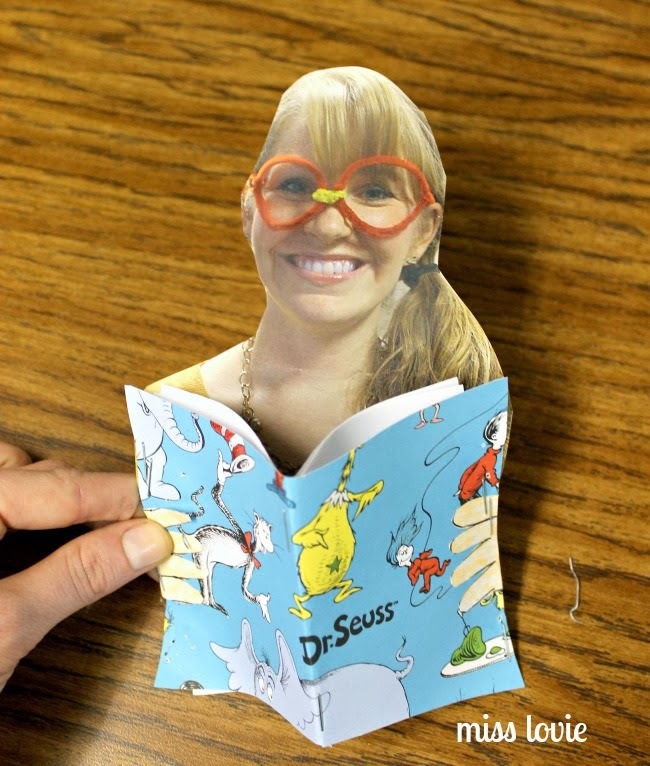 If you're curious about how to make the cute little books and the characters at the bottom, read on! Let's make the characters first. 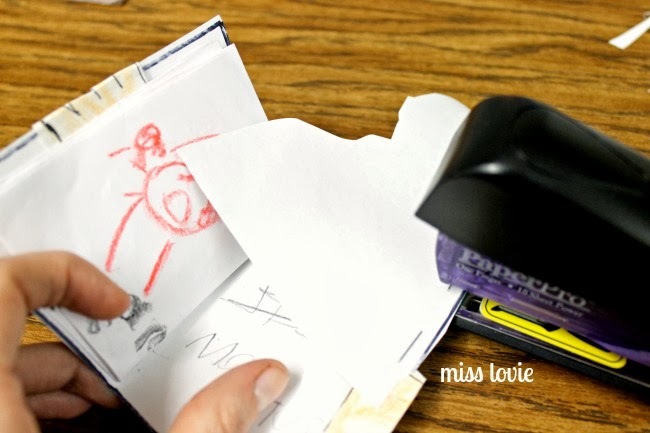 Use an overhead projector/document camera to project the picture you want to use from the book on the wall. 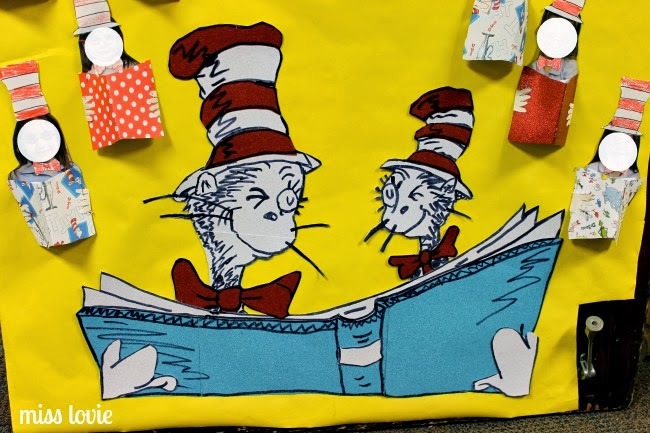 Then, tape some paper the same color as the character (I used some fancy sparkly scrapbook paper) on the wall and trace with a marker-one that won't smear. Be sure to trace all the sketchy parts! Now we've got a cat! 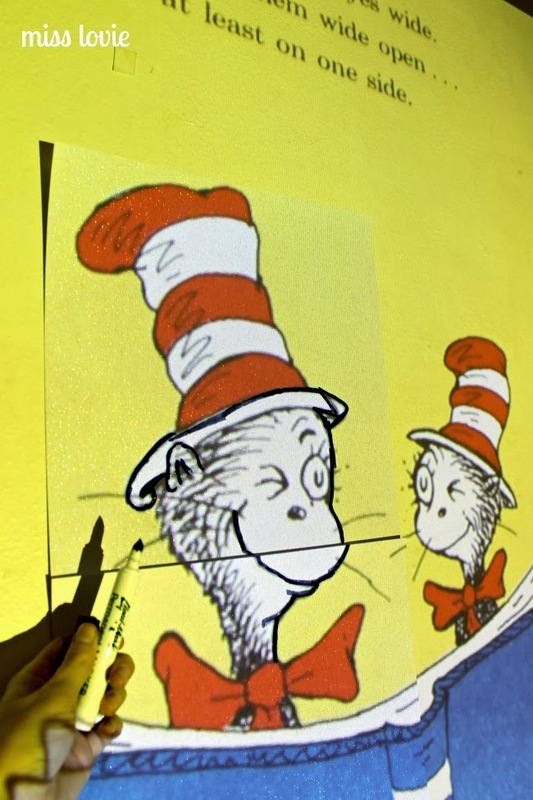 For any other parts of the pictures that are different colors, tape the different color papers on the wall and trace the parts that are that color. Fort he red, I traced the bows and stripes of the hat. Then cut them out and glue them on top of the character. Continue until all parts are complete! 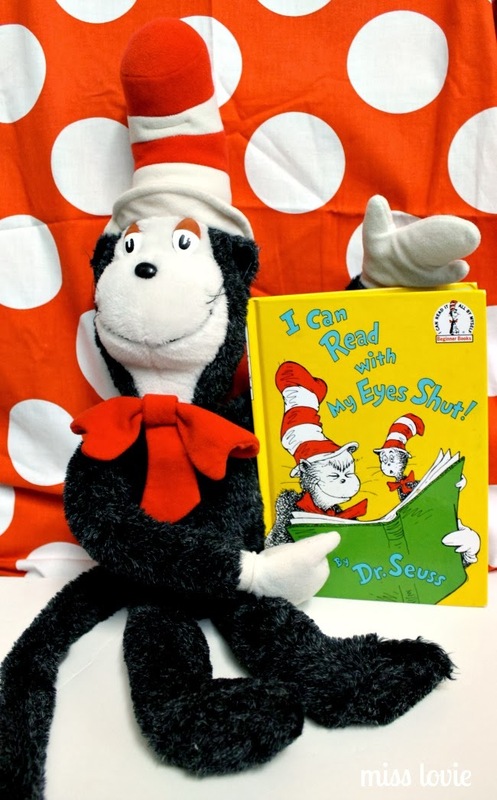 Ok, now let's make the kid pictures and their books. 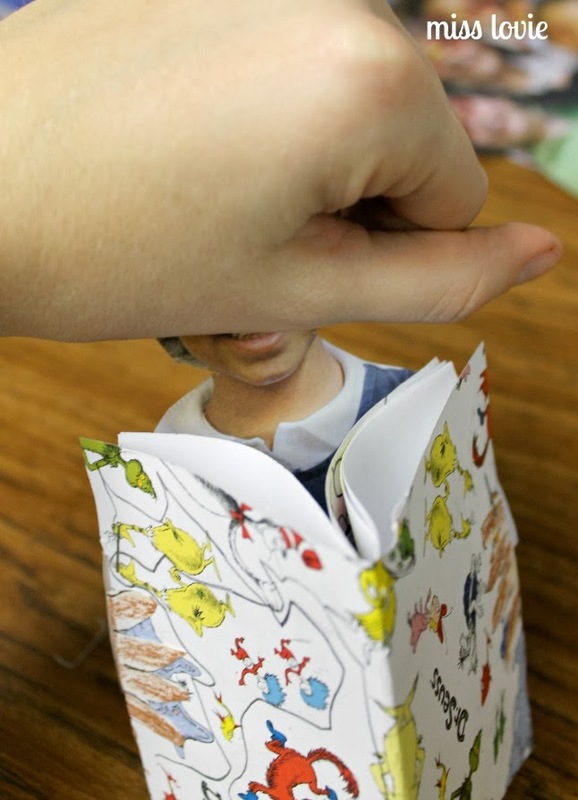 For each student they'll need a little book cover cut from some fun scrapbook paper and some little "hands". I just hand drew these to match the size of the photos. Easy. 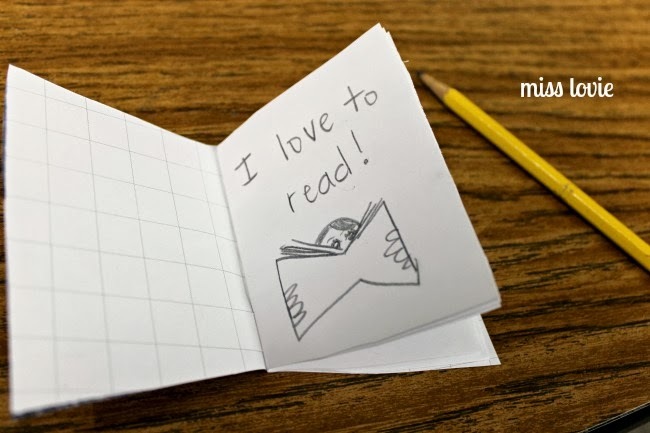 Your little book covers should look like this. 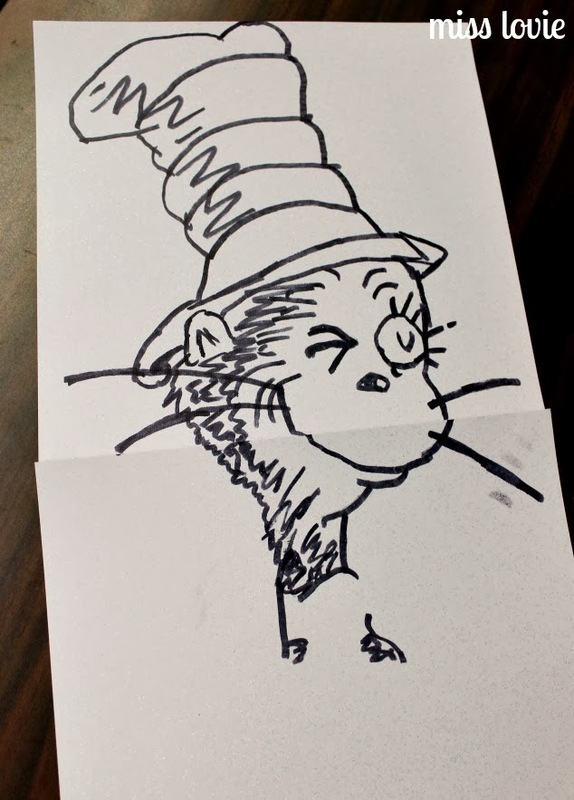 If you want to have some fun, staple in some folded white paper and have your kids write their own books. This makes the books look a little more like a book, too. 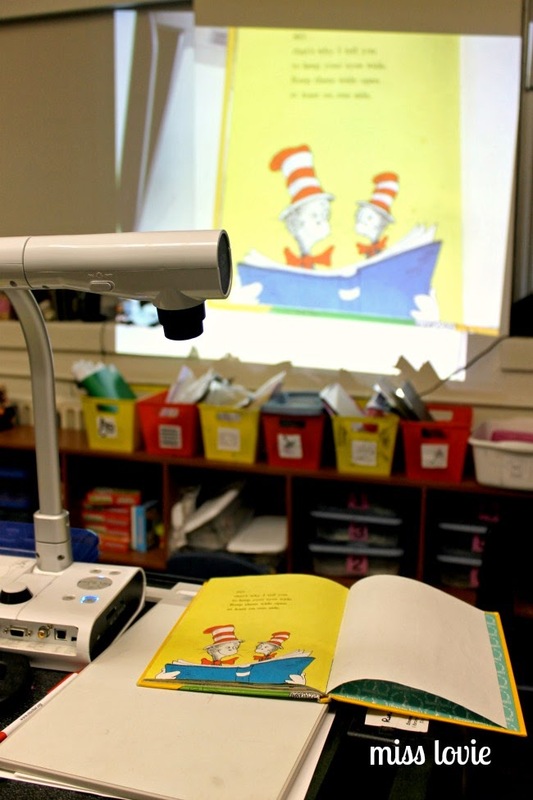 Staple the books to the pictures of the kids by pinching the books up and stapling the book to each side. 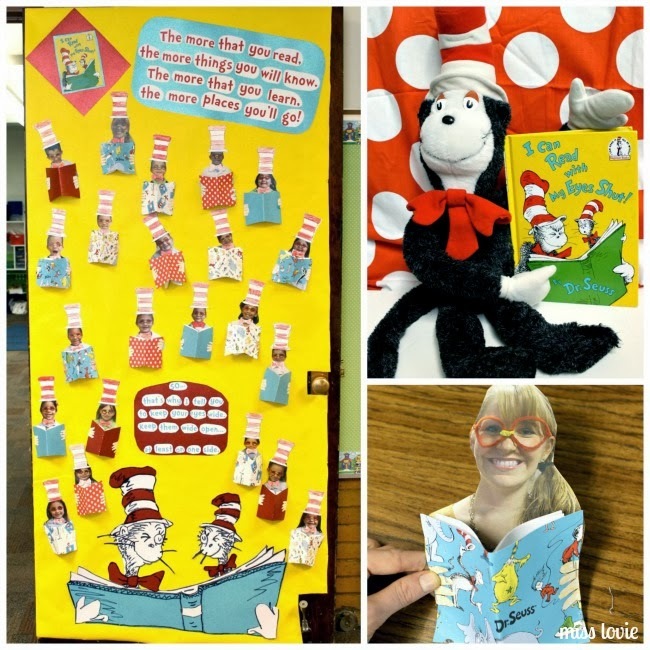 Add a Cat in the Hat bow and hat and you've got some cute "cat" kinders reading! 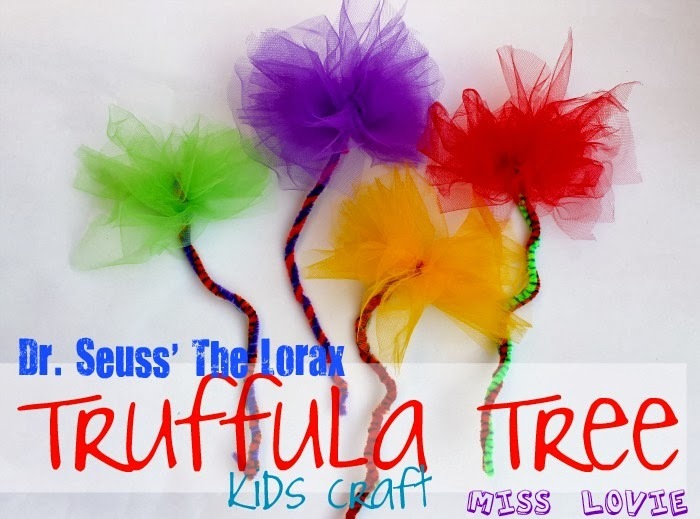 These would make great decorations or crafts for a Cat in the Hat or Dr. Seuss party, too, if you don't work at a school! I'll try to share what we do for this year soon. First I've got to figure out what we're doing.... Ha. Meet my new love. 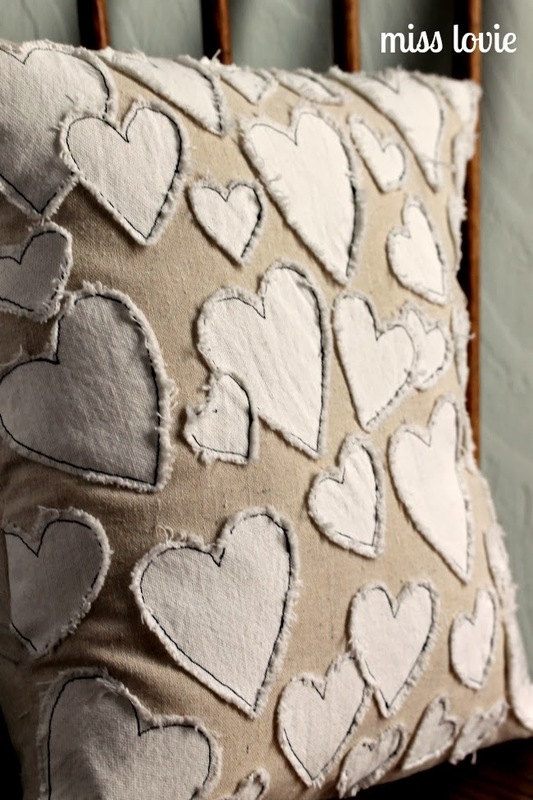 My new lovey dovey love pillow. I love it. It's Valentine's Day week- I can totally say love that many times. 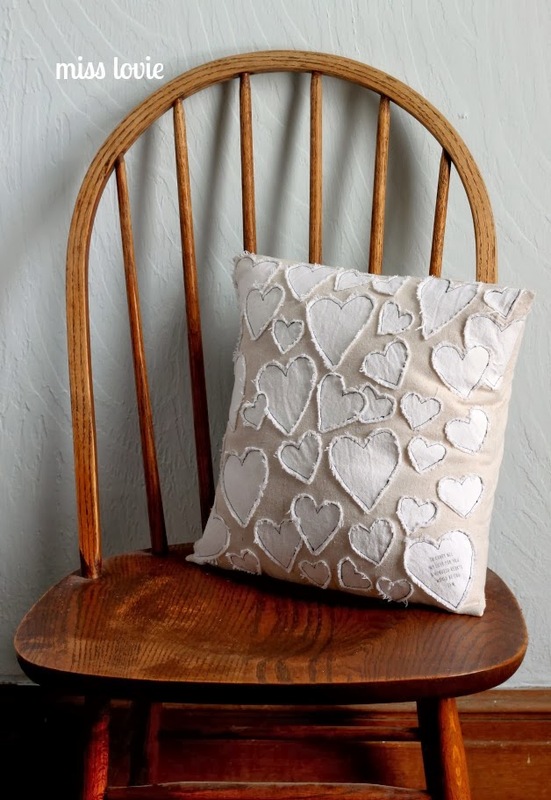 I've had my eye on Anthropologie's Heart Collector Pillow for awhile now thinking it would be a fun DIY instead of purchasing the original for $198!!! And turns, out, it was. And mine was FREE. Woo! I'm definitely not the first to think of re-doing this fun pillow. 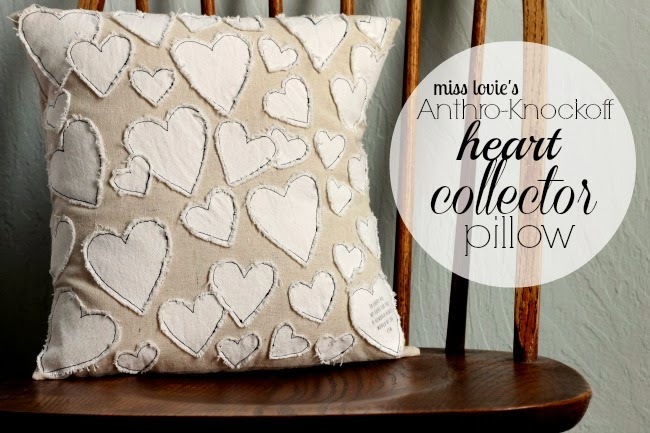 There are a few others that re-did this pillow out in the blog world like this one: A Thousand Hearts Pillow from Sweet Savannah and this one: antho-inspired pillow from Hearts and Sharts. Here's my version anyway! 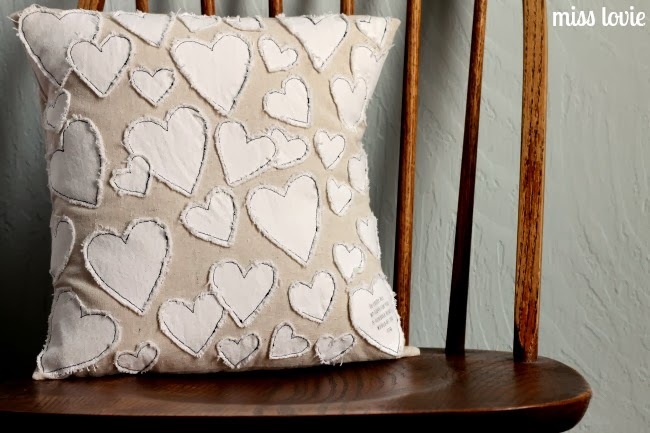 I love this pillow for some neutral Valentine's Day decorations or just a year-round happy lovey pillow. 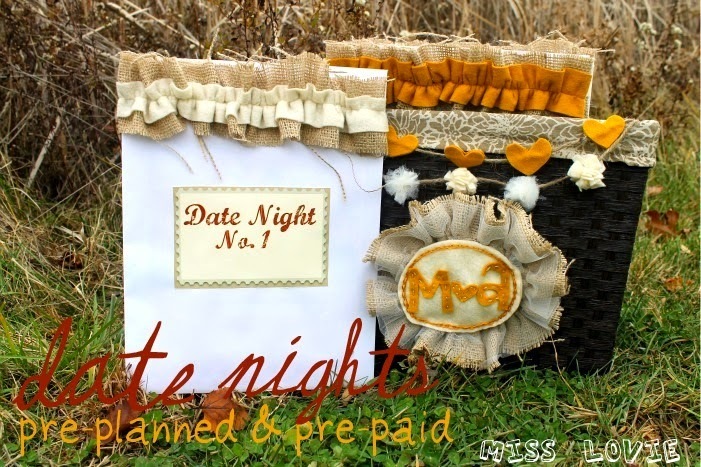 I'll be showing you how to create the front of this pillow case cover of this pillow along with how to sew a simple envelope pillow. 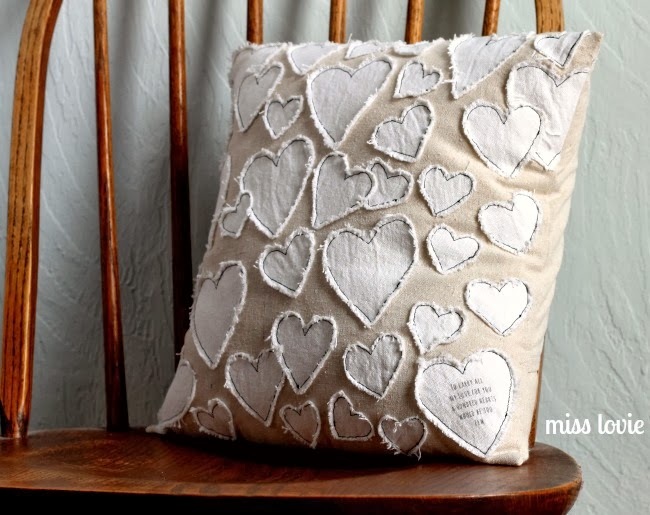 There are a TON of envelope pillow tutorials out there, but I reviewed this tutorial from Delia Creates before creating this pillow. I had a pillow form I'd picked up for 99 cents at a thrift store a couple years ago just sitting around so I measured that to determine the size of my pillow form. My pillow was a 15 inch square so I cut a 15 x 15 inch square and two more 12 x 15 inch pieces to make up the envelope back. 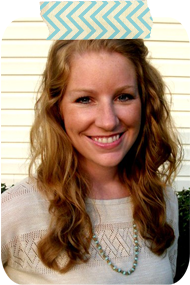 Depending on how large your pillow is you'll need anywhere from a 1/4 to a 1/2 yard of fabric. The fabric on the anthro pillow looks like a nice linen, but I had a linen-looking muslin left over from some wedding projects so I just used that. The material is a little thin, but it worked out great. 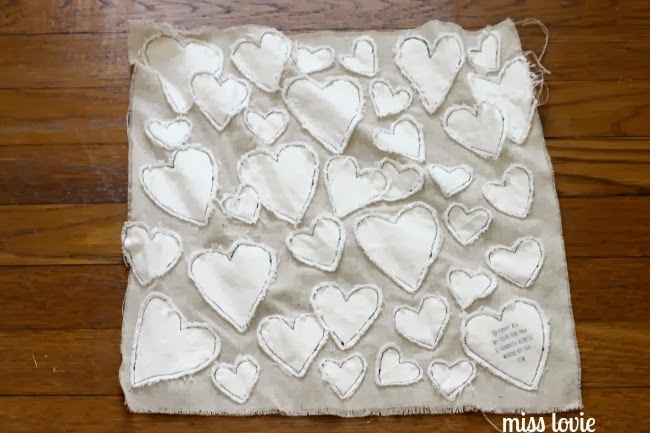 You'll also need some white duck canvas for the hearts (around 1/4 yard). Again, I had some white canvas scraps laying around so I used those. 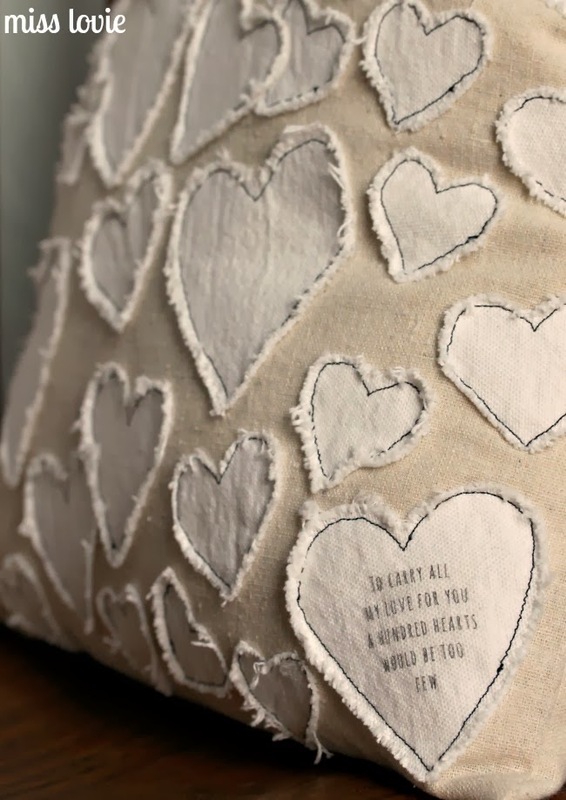 I chose this canvas fabric because I knew it was durable, but would fray nicely around the edges of the hearts. Don't forget to pre-wash your fabric! For each of the 15 x 12 inch pieces, create a double folded hem by folding the end up a 1/2 inch and pressing well, repeat pressing well. Then, using coordinating thread, sew down the double folded hem close to the edge of the hem. Do this for both back pieces, set aside. Next, let's trace and cut out the hearts. Maybe you have an awesome free-hand and you could just draw a bunch of different sized hearts, but I don't. :) I created a few templates to trace onto my canvas fabric. 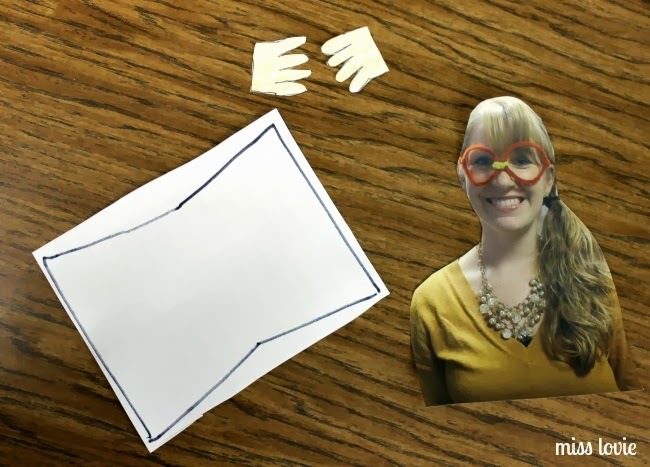 You can access my templates here. 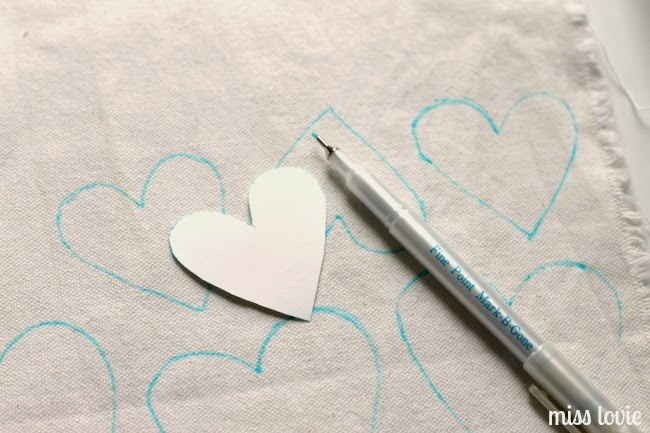 Use your water soluble marking pen to trace the hearts onto the canvas leaving enough space around the edges to cut a 1/4 inch border on the outside of each heart. 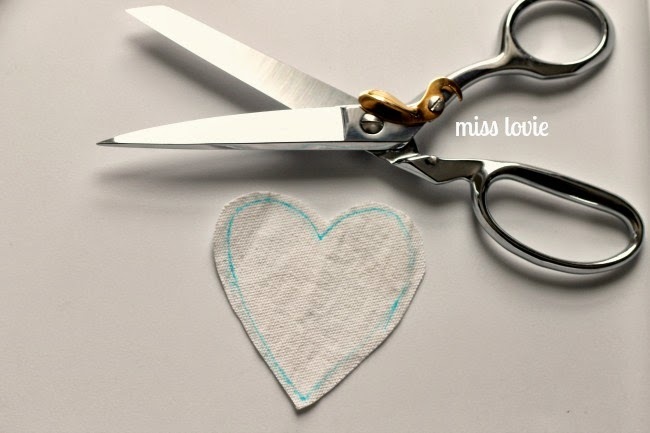 Cut each heart out as shown here. Now for this heart, I simply taped a piece of fabric to some card stock and ran it through my printer. 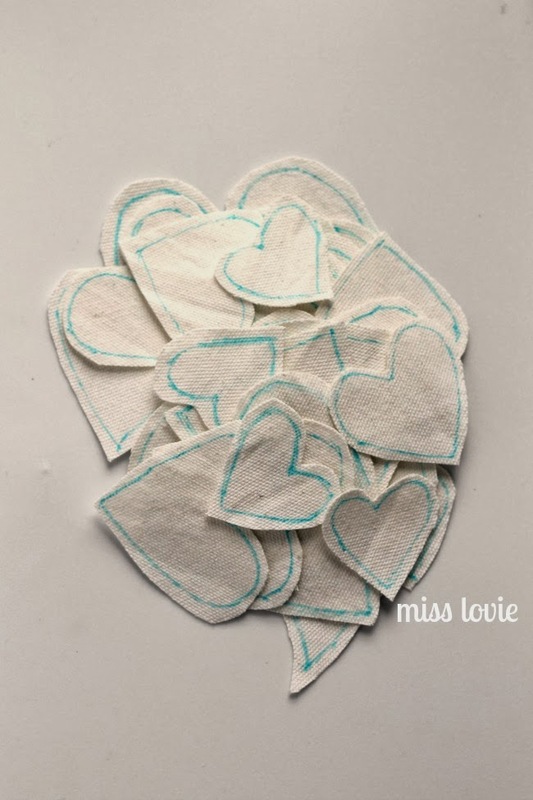 (Cut fabric to be the same size as the card stock and tape well around the edges. You can also use spray adhesive, but I was out of that so I used scotch tape. Just make sure it is nice and flat against the paper) If you need more details on how to print on fabric you can follow this tutorial. It's super easy. 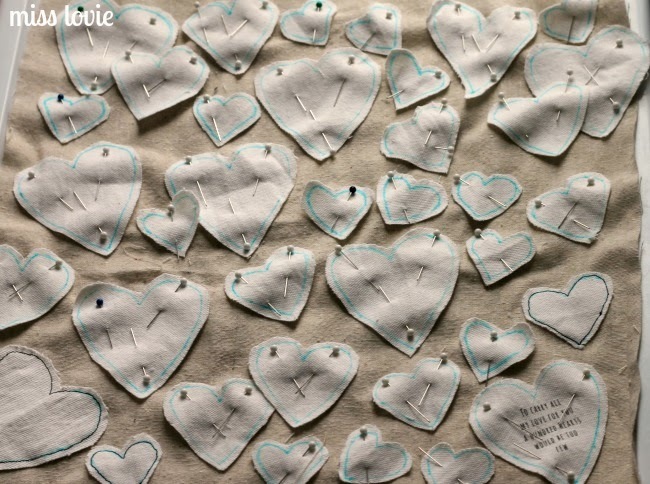 Then just place the largest heart template on top of the words, trace and cut out. You can use my template for the quote, if you want to use the same words that fit inside the largest heart template. 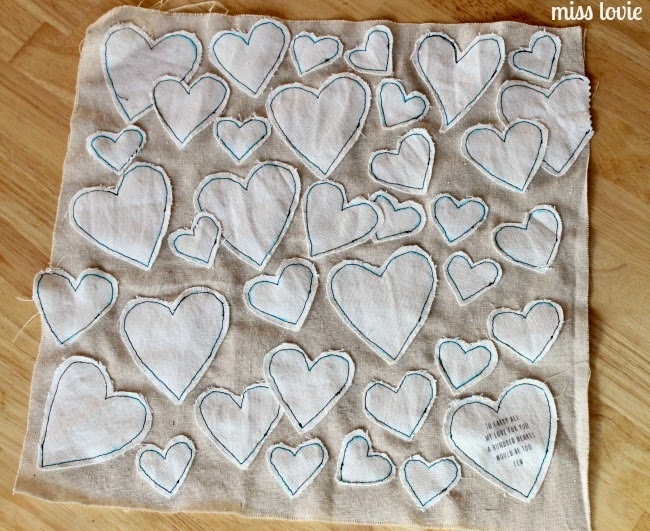 Once all your hearts are cut, place them on the front piece of your pillow cover and start pinning. Pin and pin and pin some more. Yay! Heart takeover. Exchange the coordinating thread for the black contrasting thread on your machine. 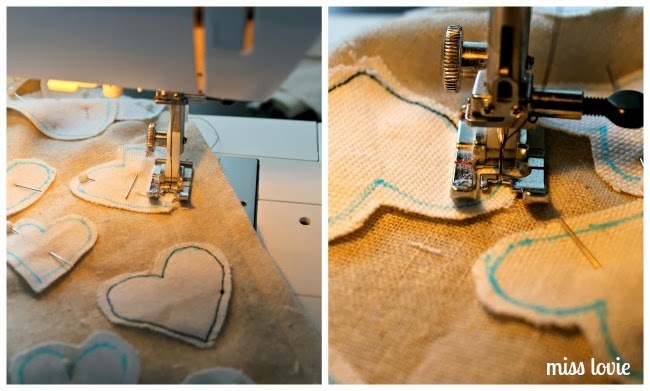 Then, set your machine to a small stitch length (like 1 or 2). This will make it easier to create nice curves. 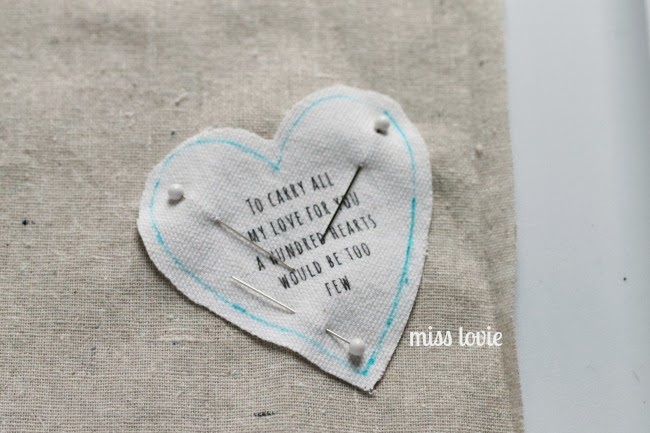 I liked to start sewing my hearts towards the bottom facing the point of the heart because I felt the heart didn't move around as much when I did it this way. Start sewing there, remembering to back stitch. Only do a few back stitches so you minimize the darker line in that spot. When you get to the point, leave your needle down, lift your presser foot, turn your fabric until your needle is facing the line again, and continue sewing. On the curves, only sew a couple stitches, then turn your project so the needle is facing the correct way. The picture above on the right shows how I have my needle lined up perfectly on the drawn heart. If you have it in line the whole time, you'll have a nicely sewn heart. Since you're using contrasting thread, it's important that these aren't too messy. 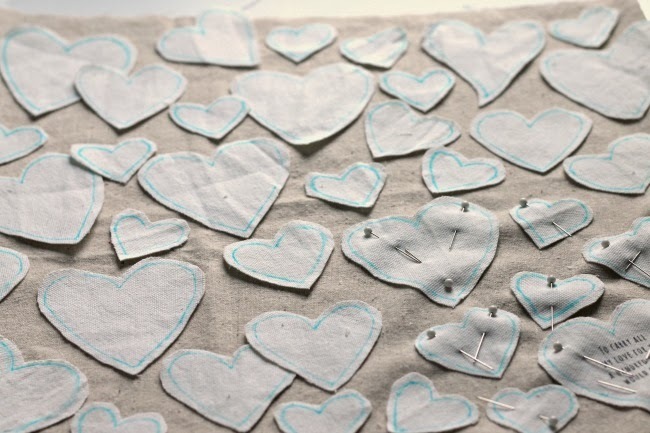 Keep sewing until you've sewn all the hearts. This may take awhile. I watched a movie on my kindle while I sewed and it flew by! :) You can obviously see all the blue lines from my water soluble ink, still but all those will come out when you wash it! Next, wash and dry the top piece of your cover. You wouldn't normally need to wash your fabric (again! 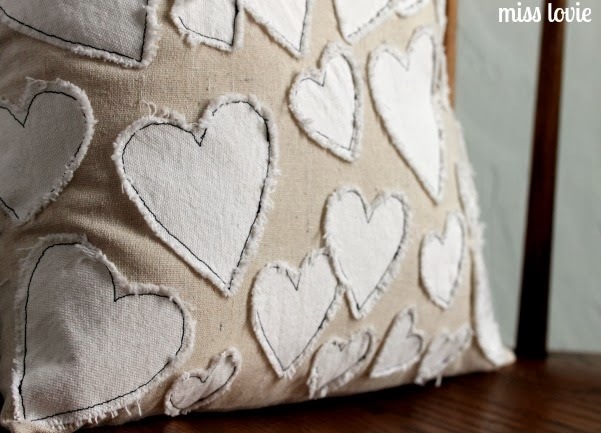 ), but we want the hearts to have those nice frayed edges, so in this case you will. It'll look like this when you're done. 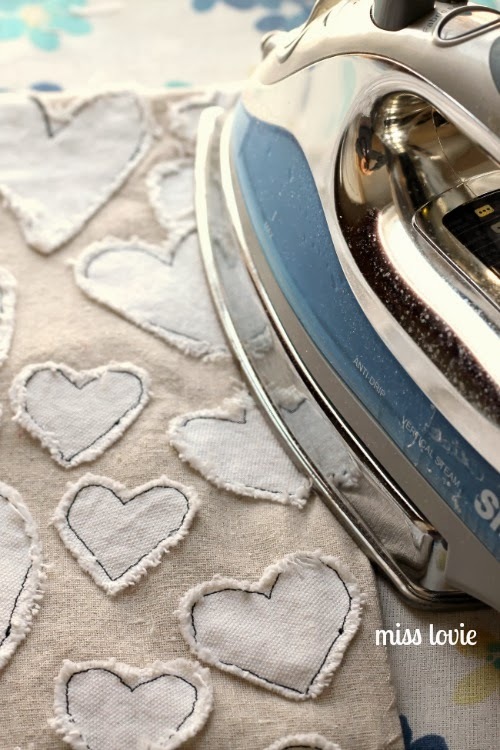 Wash and dry on delicate cycle and then take an iron and press it so it's nice and flat for sewing. Lay the two back pieces on top of the cover right sides facing each other, with the two back pieces overlapping. Switch back to coordinating thread and sew up all the sides using 1/2 inch seam, then cut the edges with pinking shears. 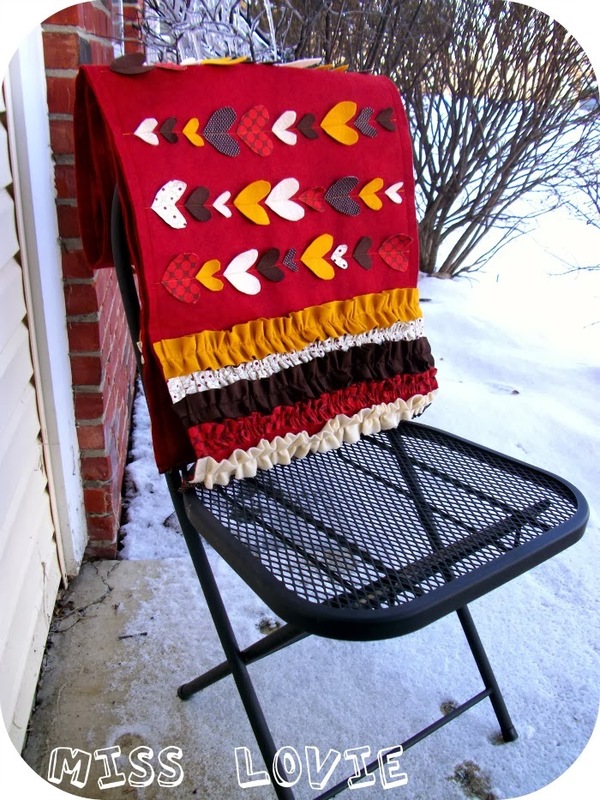 (You could also serge the ends or use a zig zag stitch on the edges.) Be sure to clip the corners to decrease the amount of bulk in there allowing you to have crisp corners. 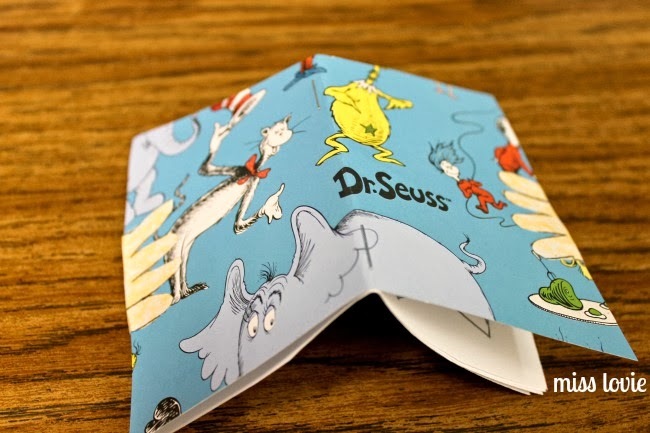 Turn that cover inside out (through the envelope back), use a point turner or a blunt pencil to push out the corners, and press the edges flat. 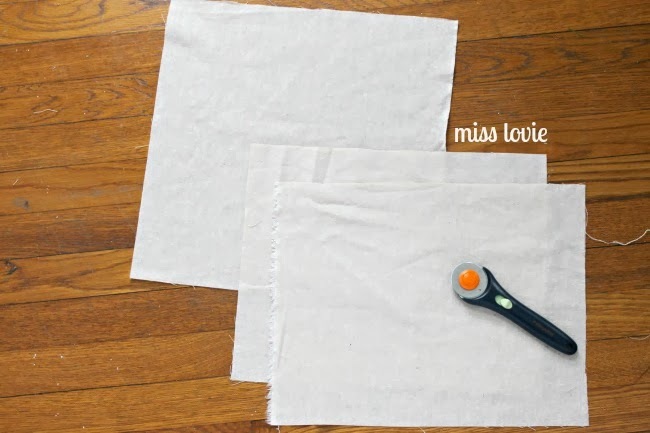 Press the entire pillow cover and trim any too long frayed edges for a nice finished product. I was a little worried about the ink from the printer fading or even washing away, but it held up well. Not sure how many washes it could withstand, but I don't plan on having to wash it too much, so it'll be fine. 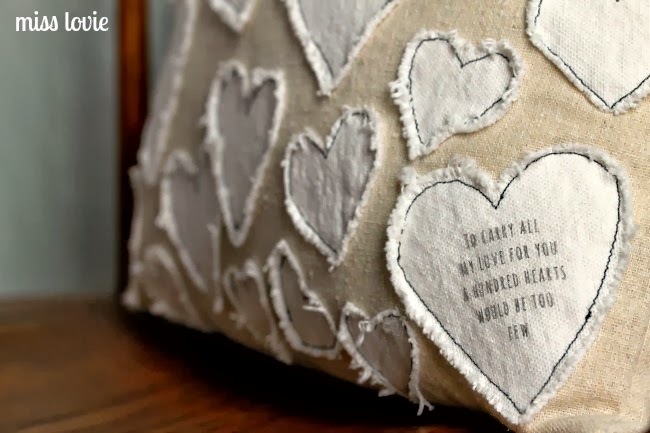 This sweet pillow will be on display in our living room for now, but I have a feeling it will find a permanent, year-long home in our bedroom after Valentine's Day. It's just too cute to be seasonal. I hope you loved this tutorial! Thanks for reading. 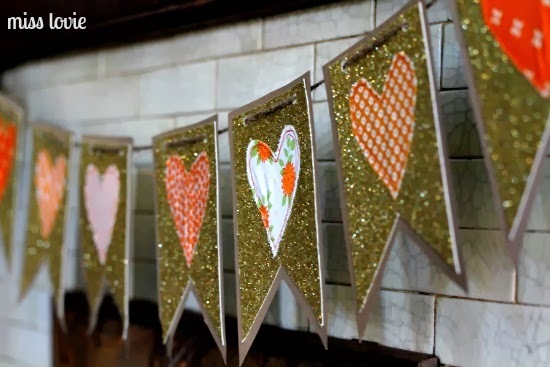 I'd love to hear what Valentine's Day projects you're working on this week! Leave a link in the comments and I'll come check them out! 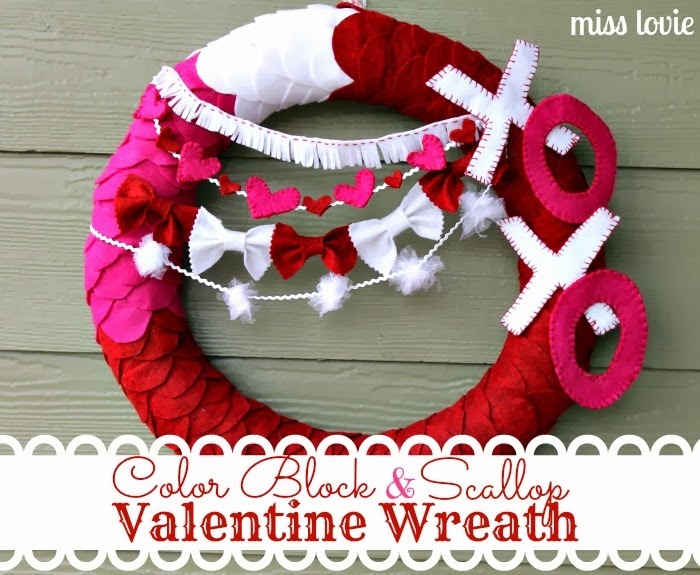 Have a Happy Valentine's Day week!